19. 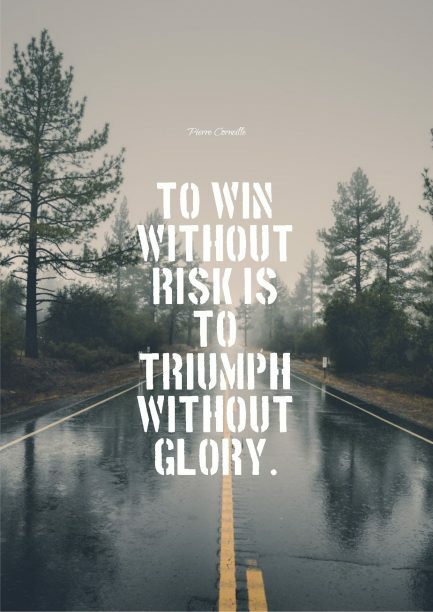 Che Guevara quote about risks. 20. 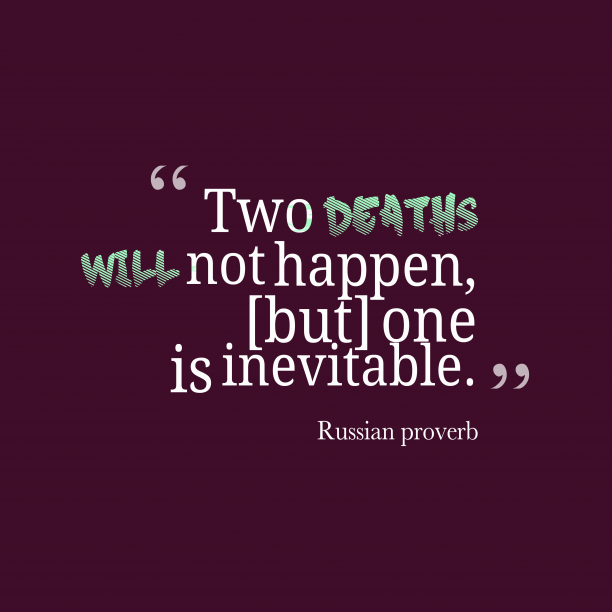 Russian wisdom about risk. 21. 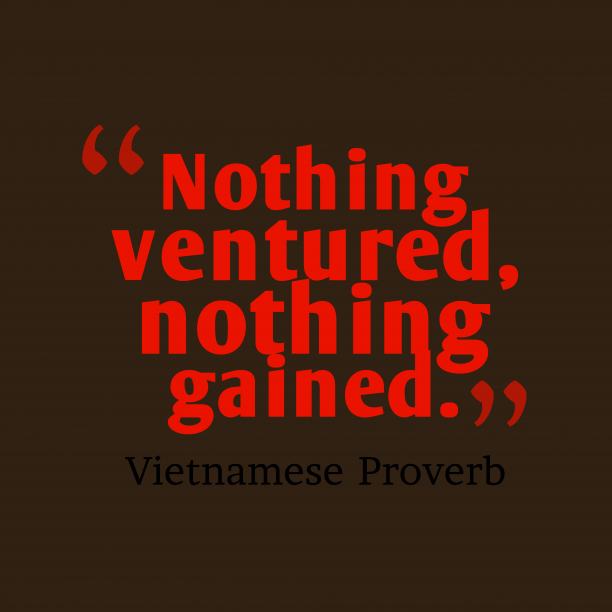 Vietnamese wisdom about risk. 22. 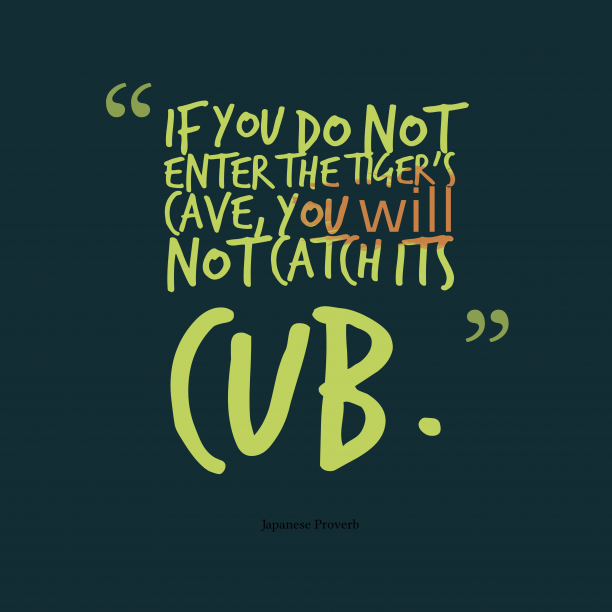 Japanese wisdom about risk. "At the risk of sounding ridiculous, a true revolutionary is guided by great feelings of love. " "What you risk reveals what you value. " "There are risks and costs to a program of action. But they are far less than the long-range risks and costs of comfortable inaction. " 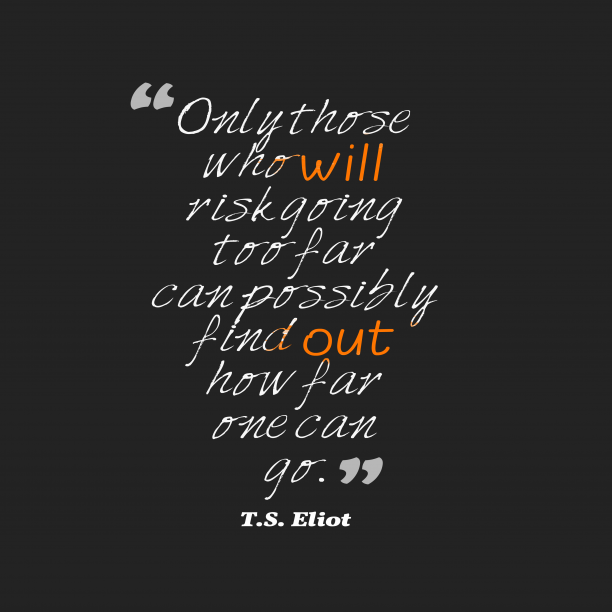 "Take calculated risks. That is quite different from being rash. " "He who pursues fame at the risk of losing his self is not a scholar. " 31. T.S. Eliot quote about grit. 32. 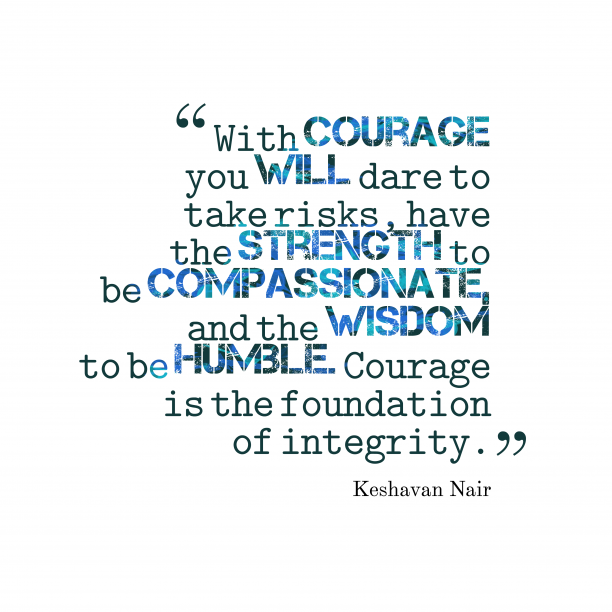 Keshavan Nair quote about courage. 33. John Paul Jones quote about chance. 34. Melinda Gates quote about chance. 35. 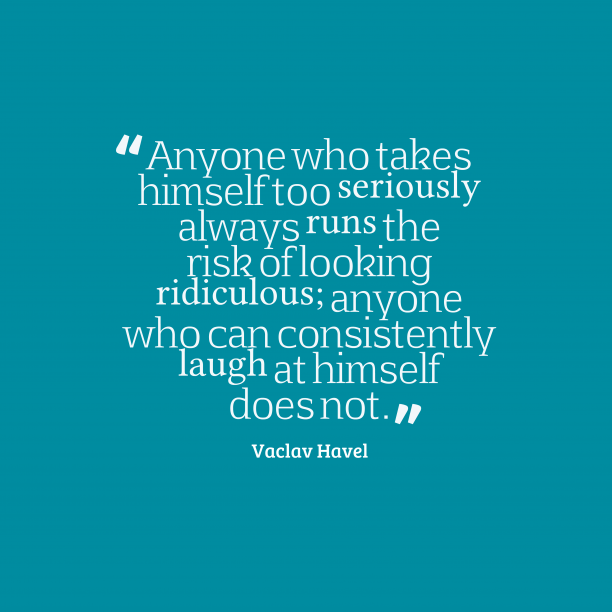 Vaclav Havel quote about laughter. 36. 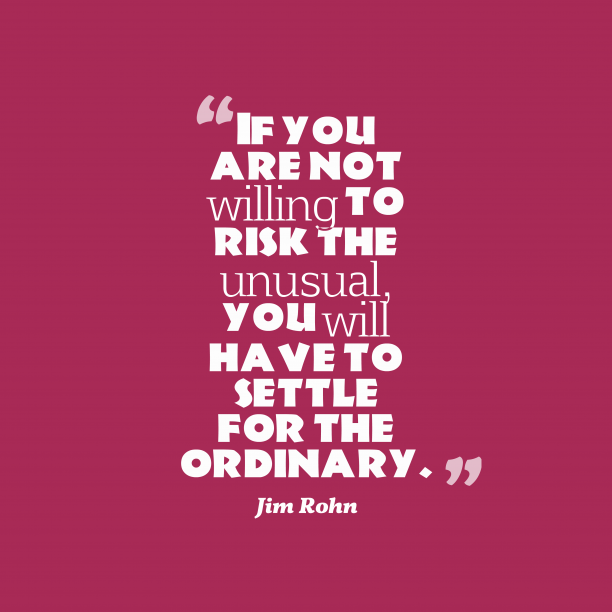 Jim Rohn quote about chance.